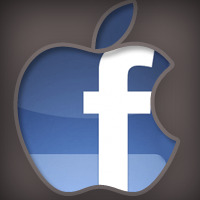 When will Facebook's iPad app launch? Ben Parr of Mashable, said that he told by his unnamed source who said that a Facebook application for iPad as well as the iPhone will be announced at an Apples iPhone5 event which is expected to take place in October 4. It is also suspected that even an HTML5-based mobile application store might be announced. Officially neither Apple nor Facebook has commented on the report so far. Nathan Olivarez-Giles of Los Angeles Times even said so far Apple has not yet confirmed that the next generation iPhone will be called the iPhone5 and will be announced on October 4. Well, whatever Apple calls their new device will not concern the consumers, but they will be really be focused on the much awaited Facebook application for both iPad as well as iPhone. Facebook's chief executive and co-founder, Mark Zuckerberg, showed his social networks new timeline-style profile pages for the iPhone at F8 developer conference. Parr’s information also made quite an unrealistic view as it says Facebook would launch an HTML5-built mobile application store of its own at Apple’s iPhone5 unveiling. It feels so because Apple is the world’s most valued Tech Company and the have their own application store why will they ask Facebook to design an application for them. But there is even one more possibility, as the news is still unclear we can also guess that both these giants working together in a single project and if it is so, then they can really bother Google to think about it for some time. > Notebook / Laptop Reviews and News > News > News Archive > Newsarchive 2011 09 > When will Facebook's iPad app launch?